Snakes are almost mainstream pets these days, but I still see evidence that many people jump into snake ownership without fully considering all that is involved. In the course of my work as a reptile keeper at the Bronx Zoo, and now as a consultant for ThatFishPlace-ThatPetPlace, I’ve come-up with a list of important points that, if considered beforehand, will greatly improve life for both snake and snake owner. As always, please be sure to post any questions, or additional factors that you have found to be important, below. Please also see the articles linked below for my “best pet snake” recommendations. Captive-Bred vs. Wild Caught: This is much easier to check today than in years past. Snakes born in captivity do not drain wild populations, are less likely to harbor parasites or diseases, and are generally easier to handle than are their wild relatives. Handle-ability and other Pet Qualities: Snakes will not seek human companionship…as legendary snake expert Bill Haast put it “You can have a snake for 30 years, but leave the cage open, and it’s gone – and it won’t come back unless you have a mouse in your mouth”! Snakes definitely adjust to captivity, and some species accept handling better than others, but they should not be expected to be “friendly”. The “It Doesn’t Do Anything” Factor: Ideally, the new snake owner will be interested in her or his pet for its own sake. But we also wish to see how it lives, what it does, and so on. Most snakes, especially well-fed pets, are about as active as the infamous “pet rock”! If you want motion, consider a small species that actively forages for its food, and keep it in a large, naturalistic terrarium. A pair of Garter Snakes in a well-planted 55 gallon tank will provide you with infinitely more to observe than will a Burmese Python in a large zoo exhibit. Costs of Owning A Snake: Your pet’s initial purchase price is but one part of the cost of snake ownership, which also includes electricity use, veterinary care (as expensive as dog/cat care), food, enclosure, and so on. With some planning, you can easily limit costs. A Garter Snake needs only a 20 gallon aquarium with (in winter) a low-wattage basking bulb, and a diet of minnows and earthworms…much less expensive than a 6 foot-long Boa Constrictor kept in a custom-made cage heated year-round with powerful bulbs and feeding upon pre-killed rats. 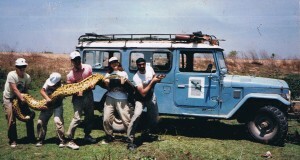 Veterinary Reptile Care: Reptile-experienced veterinarians are difficult to find in many regions. Trust me – it is a grave mistake to embark on snake ownership before locating a veterinarian, or to imagine that even the hardiest of species will not require medical care. Please post below if you need assistance in finding a reptile-experienced veterinarian in your area. Safety: All snakes, even the shyest and smallest, will bite when threatened, and they may react to scents, vibrations and other cues that we cannot perceive. Even minor bites should be treated by a doctor, to avoid infection, tetanus and other complications. Large constrictors have killed their owners and venomous species, which should never be kept, are regularly offered for sale. While easily managed with proper hygiene, Salmonella, which is generally carried by all reptiles, presents grave risks to certain people. Please see the article linked below and contact your doctor for advice. Space: While snakes can make due with less space than many other creatures, you’ll see more of interest if your pet has ample room to move about. Be sure to research (feel free to post below) your snake’s ultimate size and typical growth rate. And please remember – zoos will not accept unwanted pets and, even if native, they cannot be released into the wild! 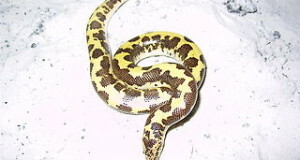 Time Commitment: Depending upon the species and size of your pet, its care can range from a short, more-or-less weekly job (Kenyan Sand Boa) to a major, near-daily chore (Indigo Snake). Long term care should also be considered – Corn Snakes and other popular pets regularly live into their teens and twenties, while Ball Pythons may exceed 30, 40 or even 50 years of age! Diet: Not everyone (or everyone’s significant others!) can accept a pet that consumes dead rodents. Unfortunately, Smooth Green Snakes and other insect-eaters usually refuse crickets and other readily-available foods (canned silkworms may be a useful alternative). The fish-eating Water Garter and Ribbon Snakes are a good option for many folks. 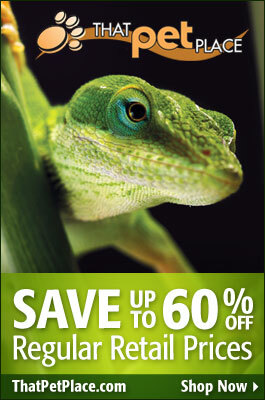 Veterinary Care: Do you have access to a local veterinarian with reptile experience? I noticed your mention of all snakes bringing the possibility of biting. I am aware of a couple exceptions that will simply not bite in defense and where it would be nearly impossible to get a bite via feeding response.